One of the most desirable locations in San Clemente for those looking for vacation homes or that want that active lifestyle of San Clemente and to be able to walk to Pier or Del Mar Street, are the San Clemente Pier Bowl Homes ( or formally called the San Clemente Central Area). These homes go from beach bungalows and small cottages to beautiful estates, with many condominium complexes, duplexes and homes and condos used as vacation rentals. View all San Clemente Pier Bowl Area homes below, or follow the link to do a search for San Clemente CA homes by map. We are licensed Realtors ® in San Clemente and can help you with your San Clemente real estate transaction: buying or selling a home in this beautiful coastal town. Call us at (949) 888-6788 for any questions or if you prefer, here's how to contact us by email. The approximate area known as the 'Pier Bowl', would be the surroundings of Linda Lane Park to the north, Trafalgar Canyon to the south (T-street), the Pacific Ocean to the west, and the inland residential neighborhoods to the east. San Clemente used to be a sleepy town 10 years ago. Well, not anymore. The Pier Bowl area is very busy one. The main attractions here are Del Mar street - that goes from 'Camino Real' all the way to the Pier, with many boutiques, kids clothing stores, eclectic and gift shops, surf shops and restaurants of different cuisines, making it also busy at nightime, and of course, the Pier itself, with its Fisherman's Restaurant, where you can enjoy a cocktail and appetizer on one side (and look at the surf !) or a nice seafood dinner on the other. And for those looking for the true California beach life, here's where you can find it : sand, sun and surf. Head to the Pier, enjoy a nice walk along the 2.3 mile trail that takes you from North Beach to Calafia Beach, with many stops and gorgeous views along the way. The homes and condos in the Pier Bowl area maximize the views of the Pacific Ocean. What is there not to enjoy when these homes and condos have San Clemente's renowned 'Best Climate in the World'? Let us give you a tour of any of these homes listed for sale! 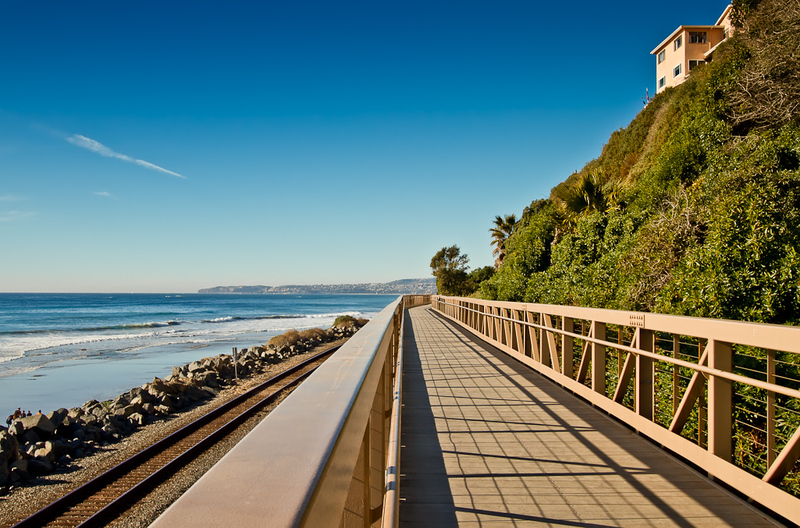 OCExecutives specializes in real estate transactions of the Pier Bowl area in San Clemente, California. Contact us today to sell real estate or buy real estate listed in the different communities of San Clemente or for more information about any of these San Clemente Homes. If you would like to see a list of homes in other communities in San Clemente, follow the links above, or click here for the main San Clemente Real Estate page.